Egypt as been part of the ANA HUNNA movement from the very start. A large network of active organizations held screenings of ANA HUNNA films all around Egypt. With Ahead of the Curve (ATC) and International Development Support & Consulting (IDSC) being founding members of the network, the Egyptian partners plan to explore the idea to implement ANA HUNNA tools in the private sector and will also enlarge its local network to spread ANA HUNNA further. "You stir up a huge controversy only by stating that you want to work." 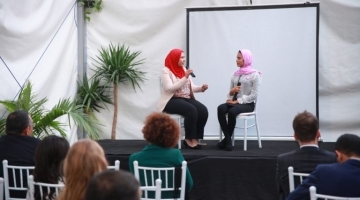 Egyptian women play a major role in public life and the state is stepping up investments in their education: two out of three woman aged 25-35 have completed high school, while one in five has a university degree. 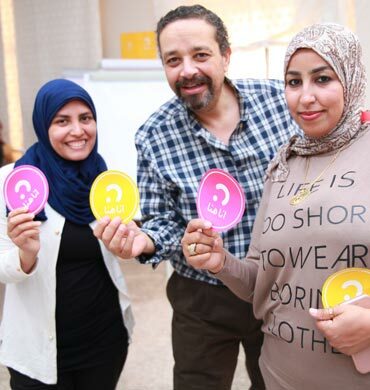 These women are a valuable resource – and yet, at 26% compared with 79%, Egyptian women have a significantly lower labour market participation than men. In the global Gender Gap Index, which gauges the disparities between men and women in countries, Egypt stands at place 136 of 145. The reasons for these inequalities are diverse: routes to work are often long and working hours inflexible. Many employers have a policy of not employing mothers and if they do, there is a lack of childcare facilities, and protective provisions, such as maternity leave, are often bypassed. An added factor is that many women experience sexual harassment on the way to work or at the workplace – for many, an understandable reason not to pursue gainful employment outside the home. 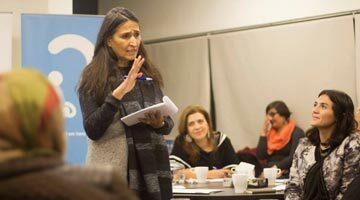 At the same time, the integration of women as players in economy and society is of fundamental importance for sustainable social harmony and economic success: According to a survey by the International Monetary Fund (IMF), promotion of women’s labour market participation and access to employment options could raise gross domestic product by some 34 percent. 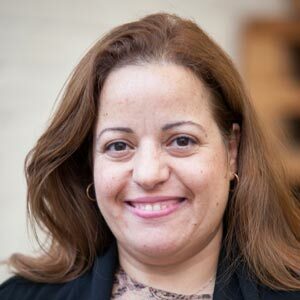 Vivian Thabet, based in Cairo, Egypt was elected board member of the ANA HUNNA International Network e.V. For inquires regarding ANA HUNNA in Egypt, please contact egypt@ana-hunna.org. 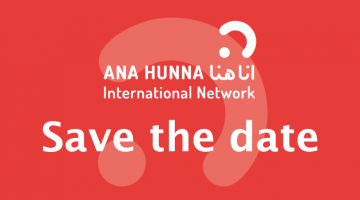 Who else is member of the ANA HUNNA International Network in Egypt? 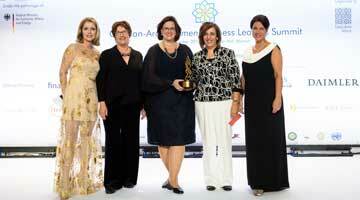 On the occasion of the German‐Arab Women Business Leaders Summit (GAWBL) ANA HUNNA International Network e.V. was awarded with the GAWBL Award. 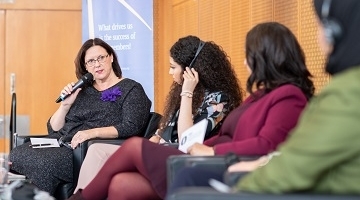 At the 4th German-Arab Women's Forum of the Euro-Mediterranean-Arab Association (EMA), Brigitta Wortmann, 1st Chairwoman of ANA HUNNA International Network, presented the network. 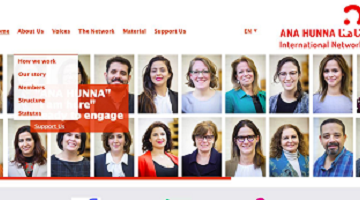 The new website features the network and its members, as well as the voices of the people reached by ANA HUNNA and the latest news. Stay tuned for more updates. 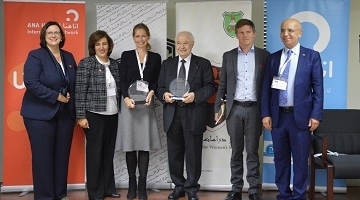 When Women Lean In – Economies Win: The GAWBL-Award honours joint German-Arab women’s cooperation Projects. The general assembly will be held over the course of two days to discuss ideas and upcoming activities for the network. Members only event. ANA HUNNA works towards a world where women have the choice on how to be active in the society. 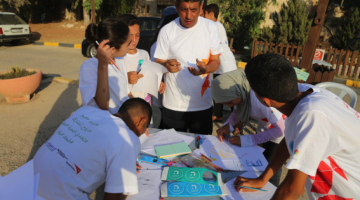 On the 18th of April, the International Development Support and Consulting (IDSC) and Ahead of the Curve (ATC), held the launching of the local ANA HUNNA network. She Empowers, She Shares, She Volunteers. In 2017, ANA HUNNA promoted jointly with the platform “All Set & Fit” women and youth.